A new baby is an adjustment for all family members, including pets. Cats love routine and consistency and we should never assume they will automatically adapt when an infant makes the scene. Assuming you’ll have to re-home your cat is a big mistake. Kitty is still an important part of the family and careful planning will help her adjust to the new living conditions. 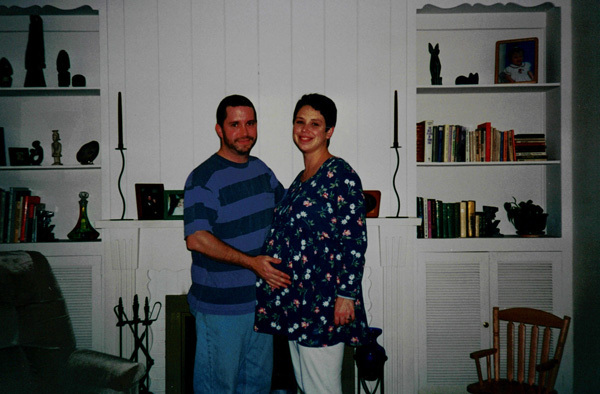 We shared our home with Dobie, our first “baby,” when we were expecting both of our children. 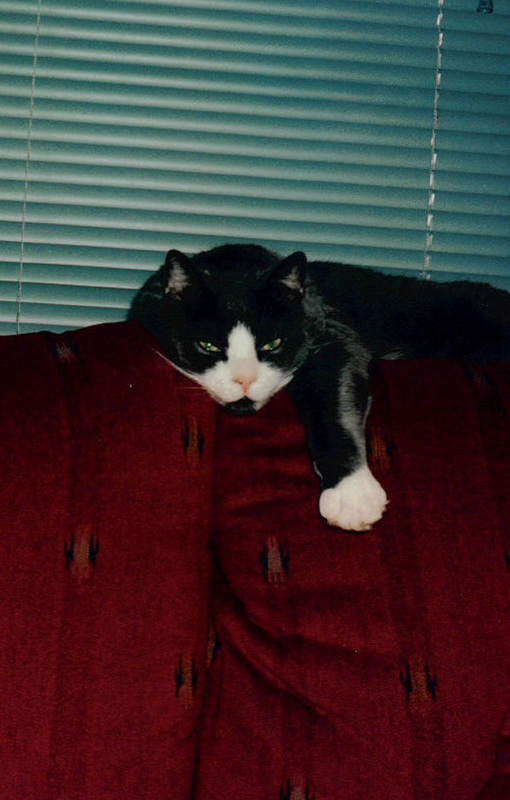 That was 17 years ago, and I wasn’t as informed about getting our cat ready for the new addition. He began acting out and we had to stop and address the situation, which caused stress during a time when we really didn’t need the additional strain. In retrospect, I would have handled the transitions much more carefully. Schedules become chaotic and unpredictable when a new baby comes home. Cats love routine, right? This this especially evident during the twice-a-year time changes. Or even if we’re 15 minutes late with dinner because we were stuck in traffic. Their inner clocks are atomic. Before the baby arrives, decide on a schedule for feeding, scooping, and playing. Perhaps purchase an automatic feeder, if that will make your life easier. Start following the schedule before the birth so kitty gets used to it. And don’t forget to enlist family members to help if possible. Cats, especially skittish ones, may become scared and overwhelmed when the newest member of the family shows up. It will be helpful to slowly introduce kitty to what she can expect after the baby comes home. Did you know there’s a CD of baby sounds, designed especially to prepare pets for what’s to come? This is great to play while playing with or snuggling your cat. Start playing the sounds softly and then gradually increase the volume over a few weeks, until it reaches a realistic level. Unwrap baby’s toys and supplies and let your cat get used to their presence in the house. While the baby is still at the hospital, have a family member bring home an item of clothing or a blanket that carries her scent. Allow kitty to smell and even mark the items so baby will seem less foreign when she’s finally home. Many people make the mistake of giving their cat loads of extra one-on-one attention before the baby’s born. They do this with a good intention — they know the infant will receive the lion’s share of the cuddles when she arrives, so they want to make it up to kitty in advance. This sets up the cat to regularly expect this level of attention, which equals disappointment and possible acting out when she realizes the baby is the one in the spotlight. Kitty still needs one-on-one playtime and snuggles, but it may be a good idea to start offering your cat more toys for independent play during the time leading up to the birth. Allow your cat to explore the nursery so she becomes familiar with the baby’s “stuff.” You may even want to place a cat tree or cat bed in the baby’s room so she can feel at home in the area. Even though the idea of a cat “stealing the baby’s breath” is a total myth, a cat can snuggle too close to an infant’s mouth and restrict her breathing. Because of that, it’s a good idea to keep kitty out of the crib. Additionally, an upset cat may react by urinating inside the crib. A crib tent is a great way to prevent a cat from climbing inside the baby’s sleeping area. 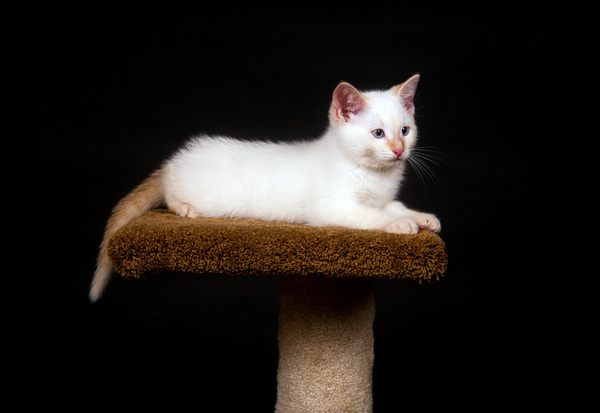 If your cat has any behavior issues, work on resolving them before the baby’s birth. Afterward, you’ll be distracted and focused on the infant’s needs and the cat’s behavior issues will be more difficult to tackle. Plus, the arrival of the new little one may exacerbate the feline behavior trouble. Contact a cat behaviorist if necessary. Your cat may feel the need to escape from the baby-related activity and later from grabby little hands. Cat trees and perches help kitty climb away from the chaos, yet still be in the same space as his humans. These trees and perches need not be expensive. Hauspanther offers a cool idea using IKEA shelves. 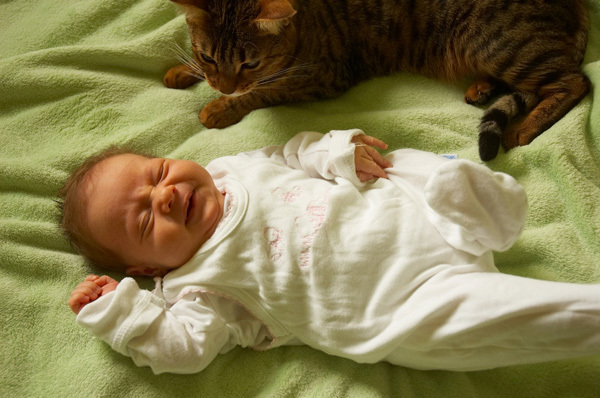 Do you have any tips for helping your cat adjust to a new baby? Tell us about it in the comments! About the Author: Angie Bailey is a weird girl with freckles and giant smile who wants everyone to be her friend. Loves pre-adolescent boy humor, puns, making up parody songs, and thinking about cats doing people things. Wrote a ridiculous humor book about cats wheeling and dealing online. Partner in a production company and writes and acts in comedy web series that may or may not offend people. Mother to two humans and three cats, all of which want her to make them food.